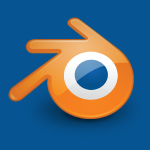 Cycles is Blenders production level render engine and today we are going to learn how to use many Cycles shaders. We’ll learn about Diffuse, Glossy, Anisotropic, Toon, Subsurface Scattering, Add, Mixer and Glass shaders. We’ll also learn how to import HDRI panoramic background images, create cartoony textures, simulate skin and create beautiful diamonds. If you liked videos like this consider donating $1, or simply turn off AdBlock. Either helps me make more tutorials. 3. The Radius options are for changing what percentage of RGB values leave the surface. If these values don't match the assigned color you'll get a lot of noise.